My iPhone and iPad are connected to my Exchange server, and right after an e-mail is sent, both of them light up and receive it. I also run Outlook 2010 (connected to the same Exchange server), and starting a few days ago it stopped receiving e-mail right after it is sent. Sometimes it will come in 10 minutes late, other times, it won't come in until I restart Outlook. All the e-mail will come in when I restart Outlook. Repair the OST file. Sometimes the OST file becomes corrupt, go to Program Files\Microsoft Office\OFFICE12 and run Scanpst.exe. I was having a similar issue as this and found a solution I figured I would share here. In my case, the user has access to multiple mailboxes and was caching all of them. Which seemed to cause problems with immediate updates while the user was using Outlook. This fixed my problem, although I am not sure if this fix is applicable to everyone. 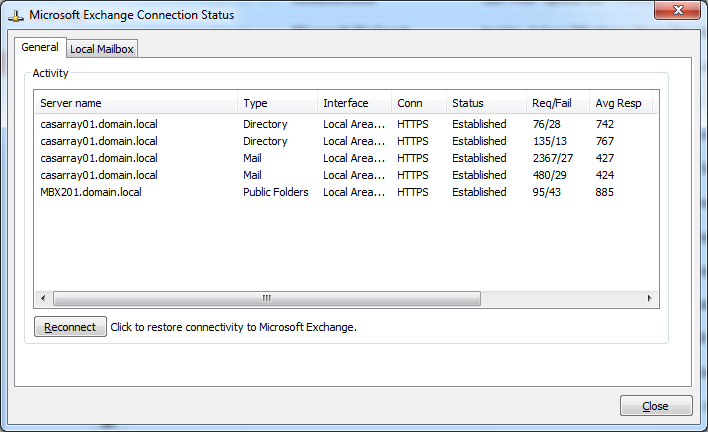 Cached Exchange Mode stores a local cache of your outlook files and folders on your local machine in an .ost file. This allows for users to use and manipulate their emails even when offline. Turning this feature off, while it may fix the problem, will prevent users from viewing or using their email while offline. 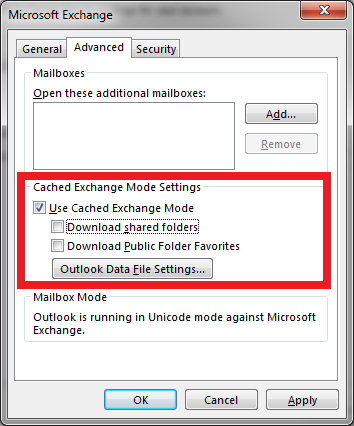 While the Download shared folders options will only do it for the extra mailboxes the user is given permission to in Exchange. Extra: Shortening the amount of time it caches could also help. Check the Send/Receive settings. I'm not at a computer now, so I don't remember the exact steps. Don't set the Send/Receive frequency to less than 15 minutes, it can cause you to get blocked out of the server, depending on server settings. Also, you can always press F9 to trigger the general Send/Receive. Not the answer you're looking for? 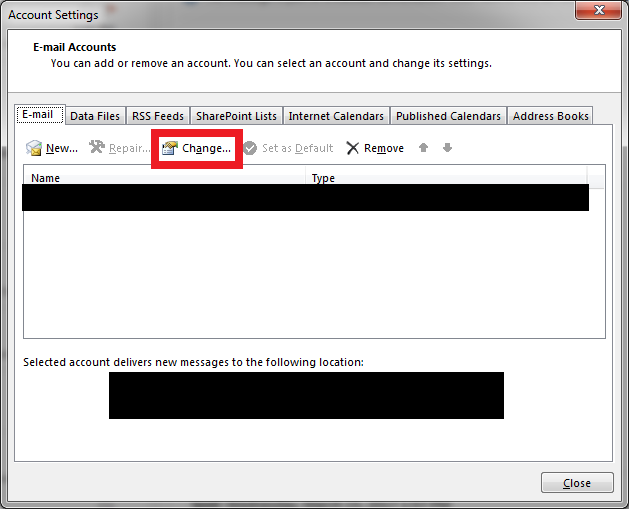 Browse other questions tagged microsoft-outlook microsoft-outlook-2010 exchange or ask your own question. 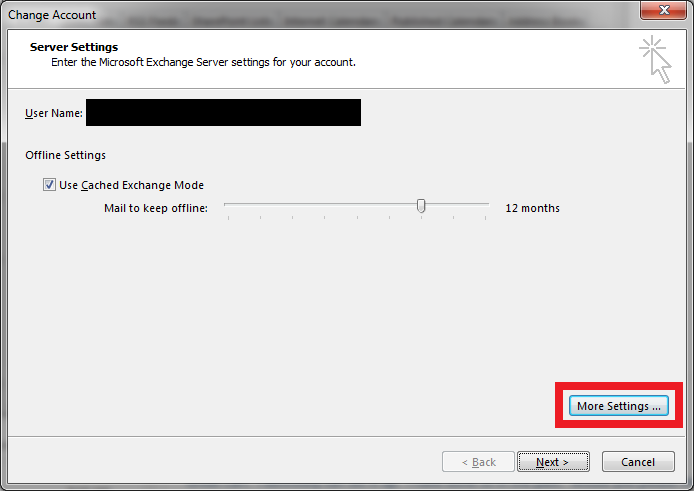 How can I disable read receipts in Windows 8 mail client (connected to Exchange)? Outlook 2010 .OST Files and Permission Errors?